The materials and Web sites referenced and/or linked from The ALS Association Web site are provided for information purposes only. 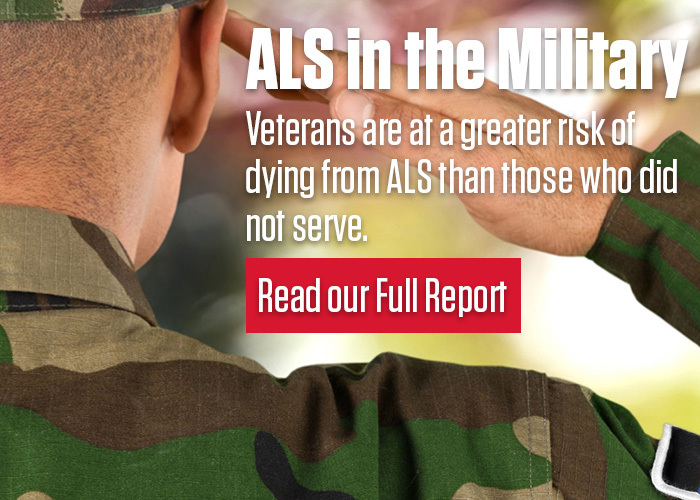 The linked sites are not under The ALS Association's control, and The ALS Association does not assume any responsibility or liability for any communication or materials available at such linked sites. Any reference to a commercial or noncommercial product, process, service or company is not an endorsement or recommendation by The ALS Association, nor a guarantee of the reliability of the information or product. Do not incorporate any content from alsa.org into your Web site through in-lining, framing or creating border environments around The ALS Association content. Do not present the link to The ALS Association's Web site in any way suggesting that The ALS Association has a relationship or affiliation with your site or endorses your site, products or services.